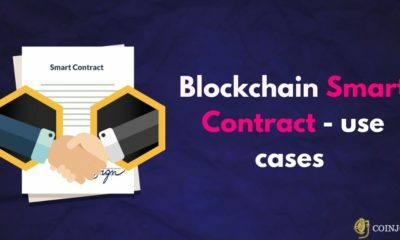 When it comes to a cutting edge technology such as blockchain, conferences are crucial for the industry as a whole, NEXT BLOCK Blockchain Conference is one conference that is a must for all blockchain professionals. The conference is organised by Krypton Events, held by Tel Aviv Stock Exchange, Israel and would see more than 350 attendees from all over the world with prominent speakers from different backgrounds enchanting the audience with their insights and experiences. They would be discussing on what 2018 meant for the technology and how the changing trends will affect it in the coming year. Mr. David Weild will be the keynote speaker in the conference. A stock market expert, he holds the position of Vice Chairman of NASDAQ. He is also famous for the JOBS Act and is actively taking part in drafting its concerned legislation in Congress. As a person who has extensive experience in the traditional financial markets, his note on cryptocurrencies, fiat and their future will be something not to be missed. Tal Elyashiv: Tal is the founder and Managing Partner of venture capital platform, SPiCE VC. He is also the founder of Securitize. Jan Sammut: Jan is founder, and CEO of RefToken, a trustless and decentralized affiliate marketing platform on the Ethereum blockchain. Michael Pearl: Pearl is Head of Content and Intelligence at Finance Magnates. 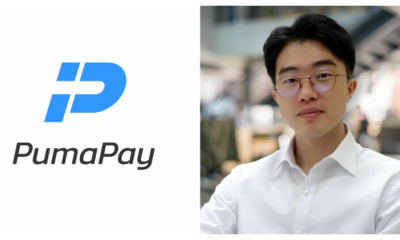 Ralph Liu: Ralph leads Mulechain as its founder and CEO. The decentralized platform is a p2p logistics system, designed to provide transportation services to places where normal couriers and transportation services do not cover. Naeem Aslam. Aslam is a columnist with Forbes and Chief Market Analyst of ThinkMarkets. Motti Peer: Peer is Co-CEO of Blonde 2.0, a famous and award-winning Global PR Agency. 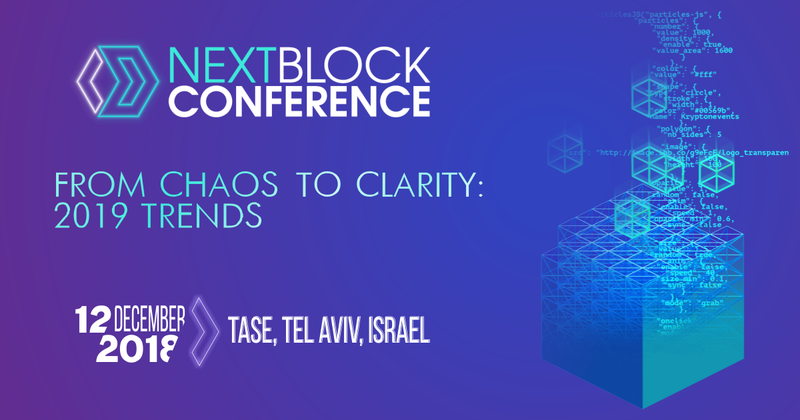 Join the Next Block conference to engage in discussions that educate and leave you more knowledgeable than ever; give exceptional exposure to platforms and ideas; and create an amazing level of networking with the industry’s biggest and brightest. 09:15 – 09:45: Registration and welcoming coffee for participants. 9:45 – 10:00: Opening remarks by Conference Chairperson. 10:00 – 11:00: Keynote speech by David Weild. 12:00 – 12:30: Networking and coffee break. 12:30 – 13:30: Panel discussion on the topic, “Startup Investment with Tokens in 2019: How Market Trends have Shaped the Market and What to Expect”. 13:30 – 14:00: Note from Asher Idan, Ph.D, Global DLT expert, Strategic Advisor at Startup-Nation, “From 50 million Blockchain users to 500 million”. 16:00 – 16:10: Emil Shekerdzhiiski CTO at Lynx, Startup Angel’s note on “Blockchain technology turning hard copies into immutable docs”. 16:10 – 16:40: Networking and coffee break. 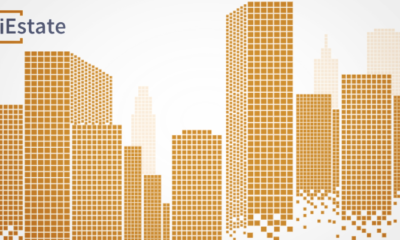 16:40 – 17:40: Panel discussion on “Regulating the Edges – licensing investment pools and token brokers”. 17:40 – 18:00: Closing remarks by Conference Chairperson. 19:00 – 23:00: Start of the After-Party. The Next Block conference will be holding not one, but two parties to relax the attendees. One day before the conference, Honeybox will be hosting a pre-party that will see investors coming together in an exclusive event. At the end of the conference, there is an after party that will include a fabulous Fashion TV official Party with supernova entertaining program featuring DJ, bright dance performances and much more in one of the finest clubs in Tel Aviv on December 12th. If you are an investor, join private pre-party by NEXT BLOCK, co-organized by HoneyBox. Don’t miss the presentation of a truly unique and promising project – send an email alisa@kryptonevents.com. To buy a ticket, become a sponsor or media partner, visit next-block.org. Follow the conversation on Facebook, Telegram, Instagram, and Twitter.